We create your chatbot to engage with your audience on Facebook Messenger. People want to communicate with brands through messaging. Get better results with a close relationship and analytics. No need to download and update apps or collect emails. Provide an innovative and secure experience to your customers. Show info about your company and it's products / services. Lets customers buy your products with a clic. Engage your fans like never before with automated answers. Understand your audience with powerful end-to-end analytics. Create your chatbot and publish it across messaging apps. AMA chatbot processes millions of messages per month. 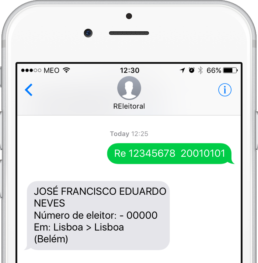 It currently serves Portugal critical e-government services like the national healthcare service and support to the national electoral services.